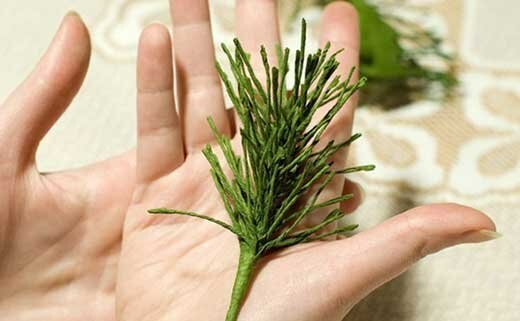 Besides the main Christmas tree in the living room, large, richlydressed, you can make a Christmas tree in each room with your own hands. 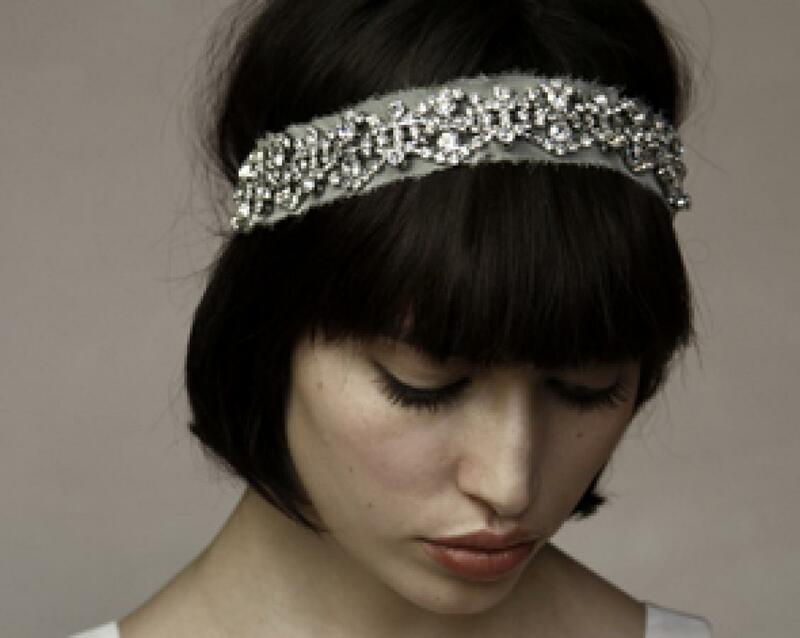 To how to make it from paper, our master class is devoted. But first let's look at which Christmas trees are popular. 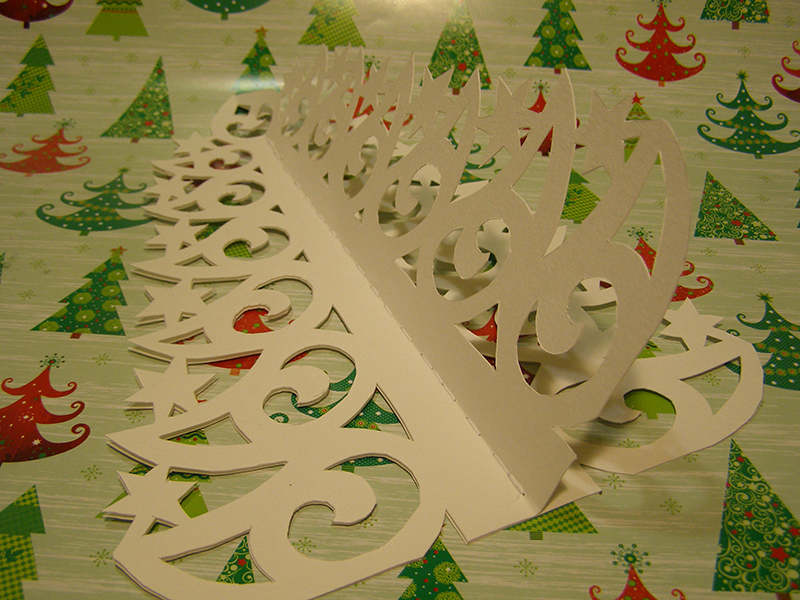 They can be flat (on a wall, postcard, gift box) or bulky (cone, "book"). 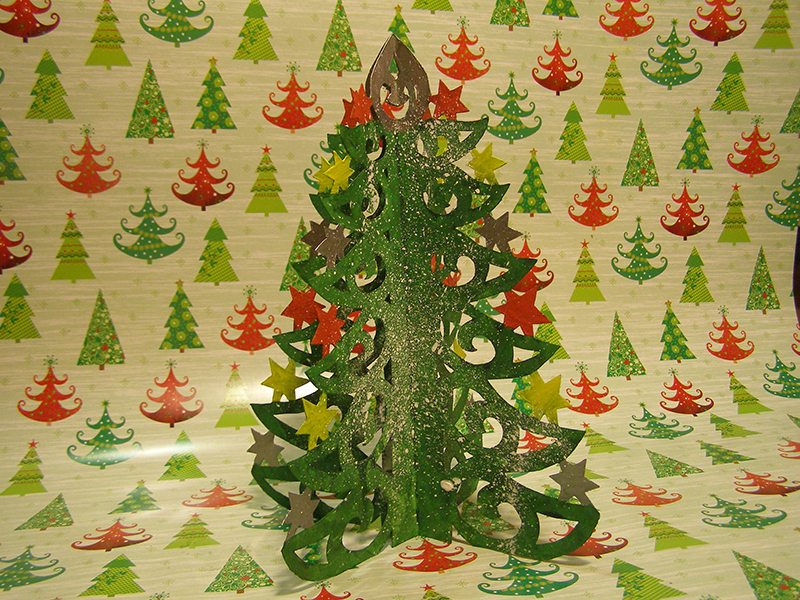 Very convenient material for making a Christmas tree onThe basis of the cone is corrugated paper. 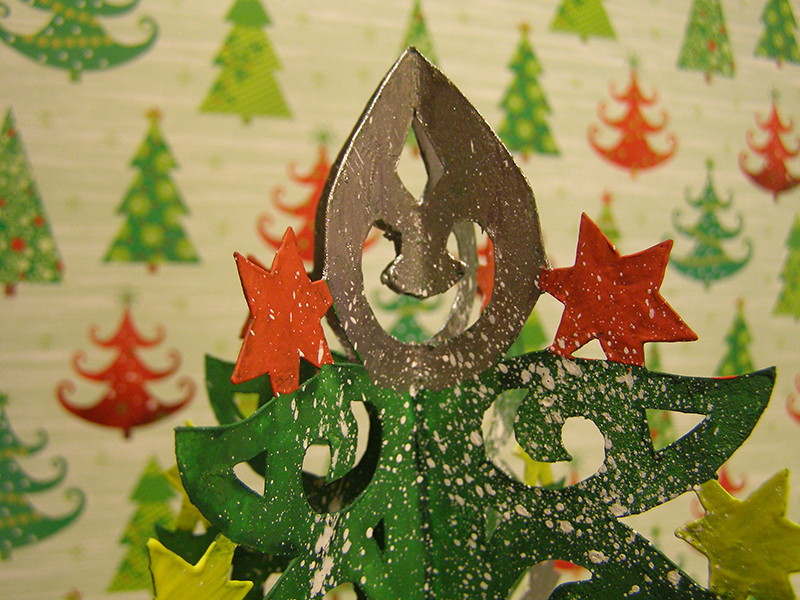 The cone can be made of cardboard, thick paper or buy a plastic blank. On the cone, the strips of corrugated paper are pasted in a circle or spiral from the bottom up. 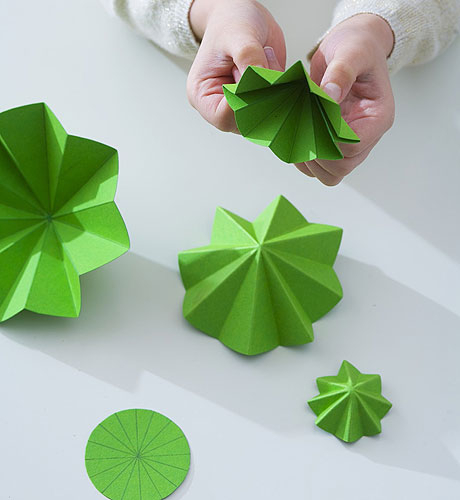 According to another technique, corrugated paper is madeseparate petals. Both stripes and petals can be made in one color, and you can take a few close shades, then the tree turns out more picturesque, more natural. Corrugated paper can not only be glued onon the cone. It can be mounted directly on the wall, it is very convenient if there is not enough space. 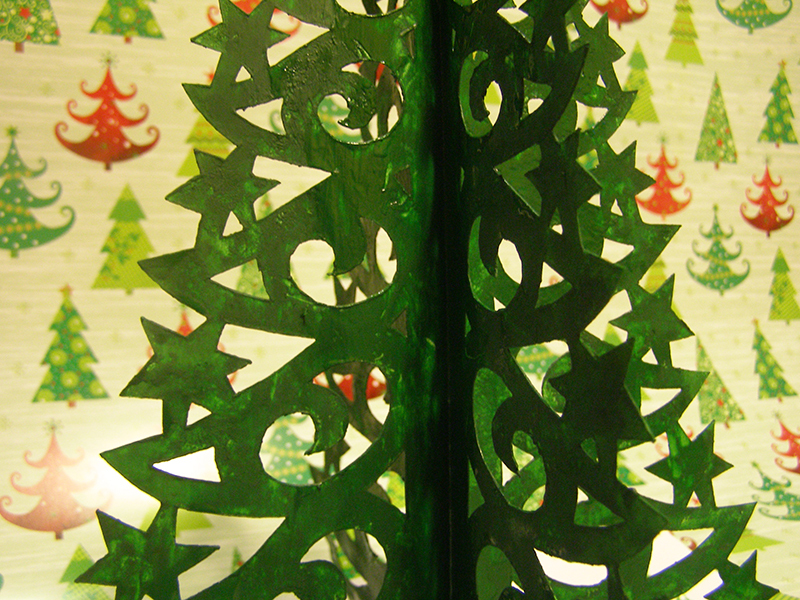 A Christmas tree on the wall can be made from anything, it is enough to observe a triangular shape and a longline. 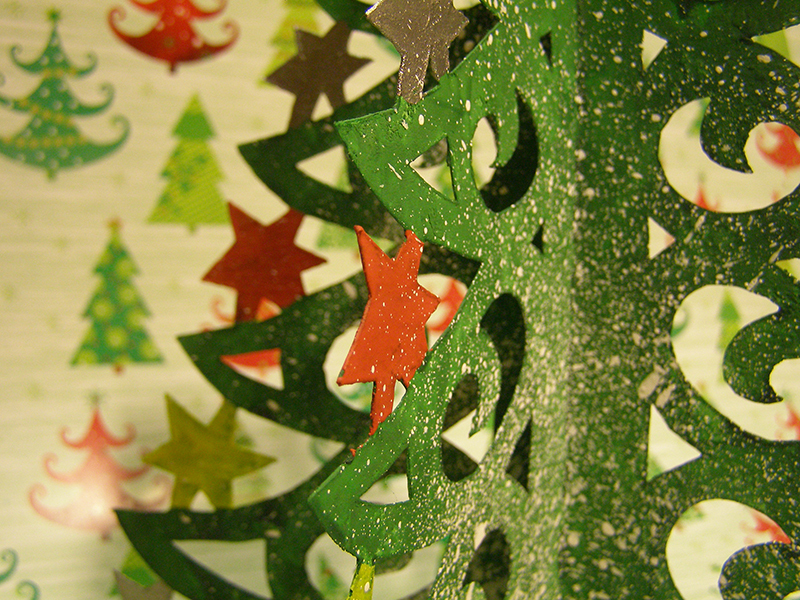 Due to the simple shape of the Christmas tree, it can be made up of any objects and materials: from paper labels to shelves hung in the form of a Christmas tree. 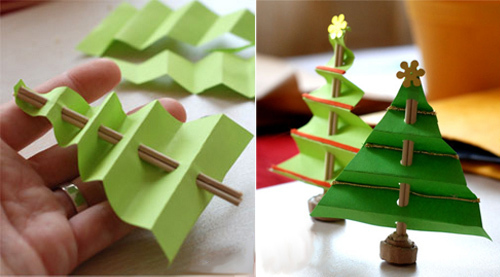 There is also a way to make a three-dimensional Christmas tree,without the use of a cone in the base. 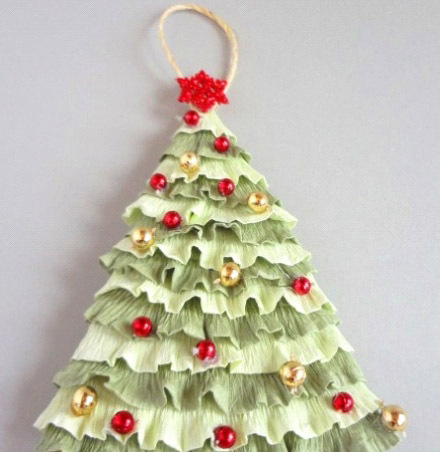 If you make 2 or more identical parts of an entire Christmas tree from paper, stitch them on a vertical axis and spread out like a book, you can get a very effective tree. 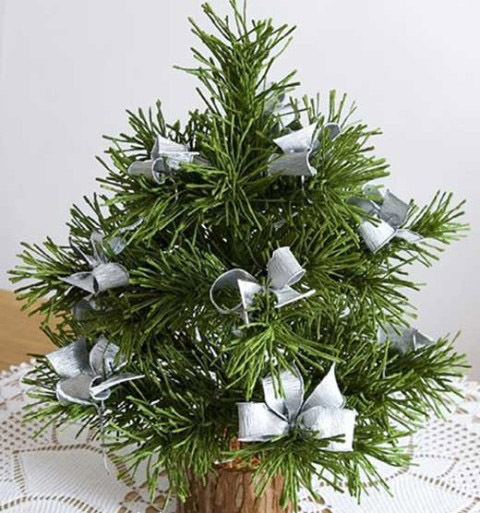 We propose to make just such a Christmas tree. 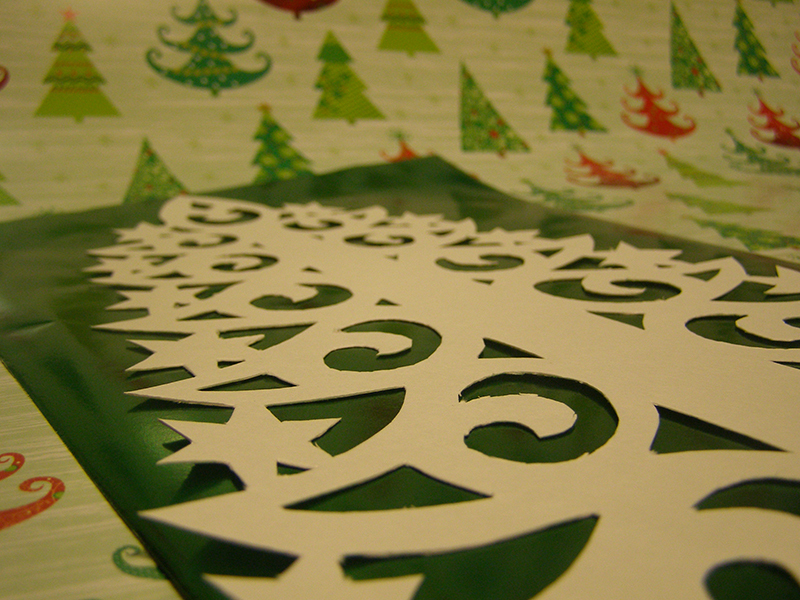 If you choose a carved stencil, then it will become elegant as a lace. 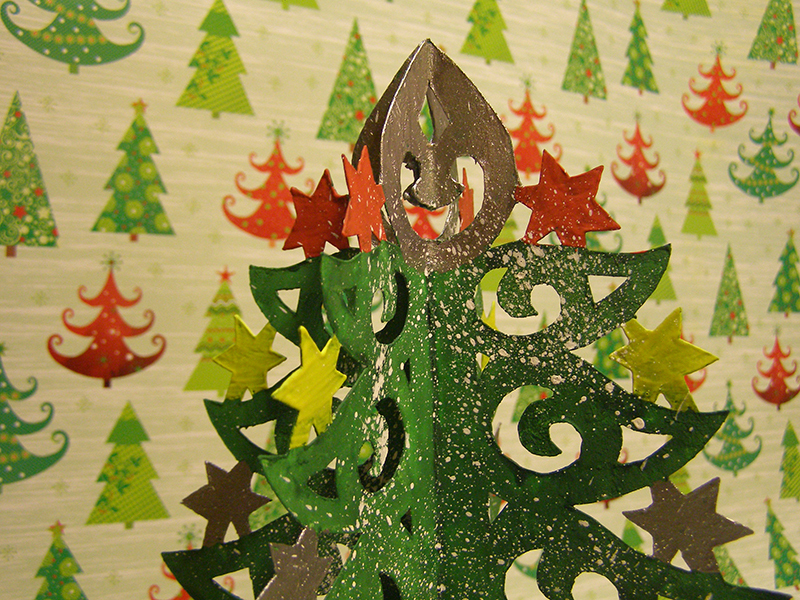 Before we make a Christmas tree out of paper, we will collect everythingnecessary materials and tools. 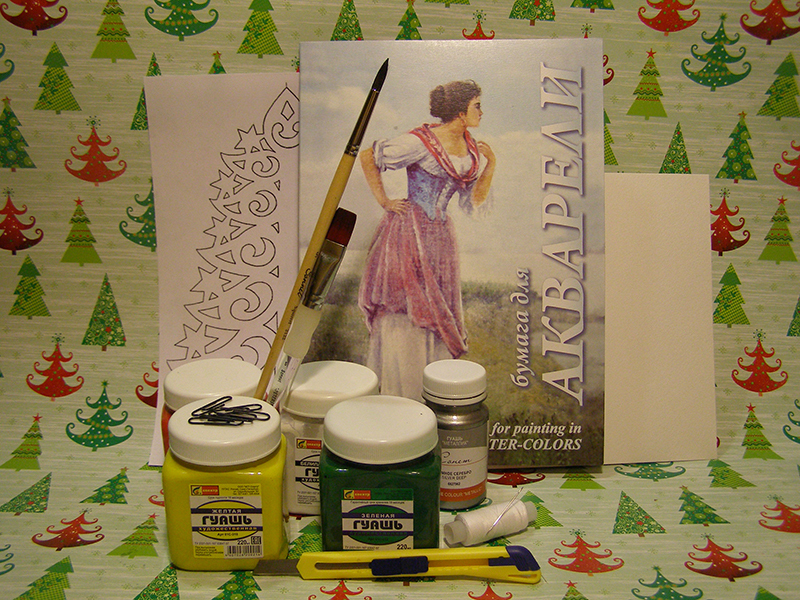 From materials we will need: stencil pattern, watercolor paper and gouache. 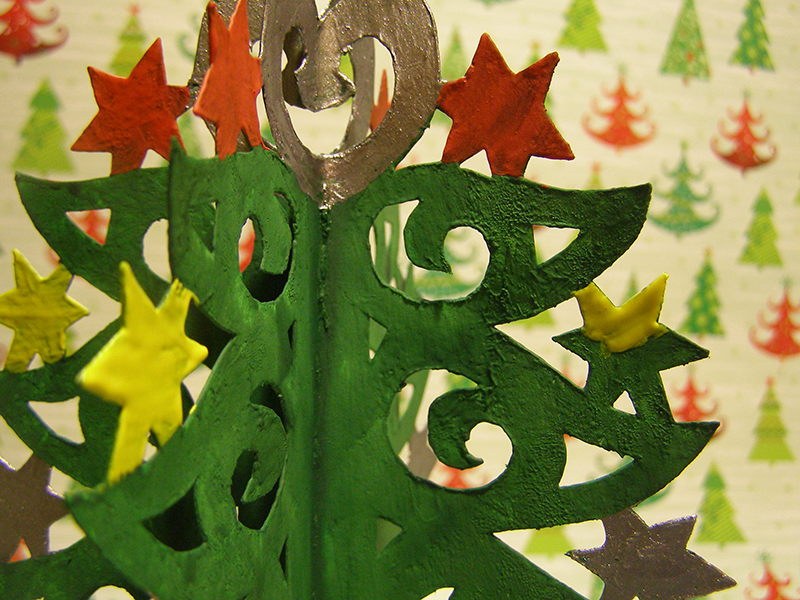 The thicker the paper, the better the tree will keep the shape after painting. Watercolor paper is designed for strong wetting, from water contained in the ink, it does not become dull, but printer paper and drawing paper do not fit. 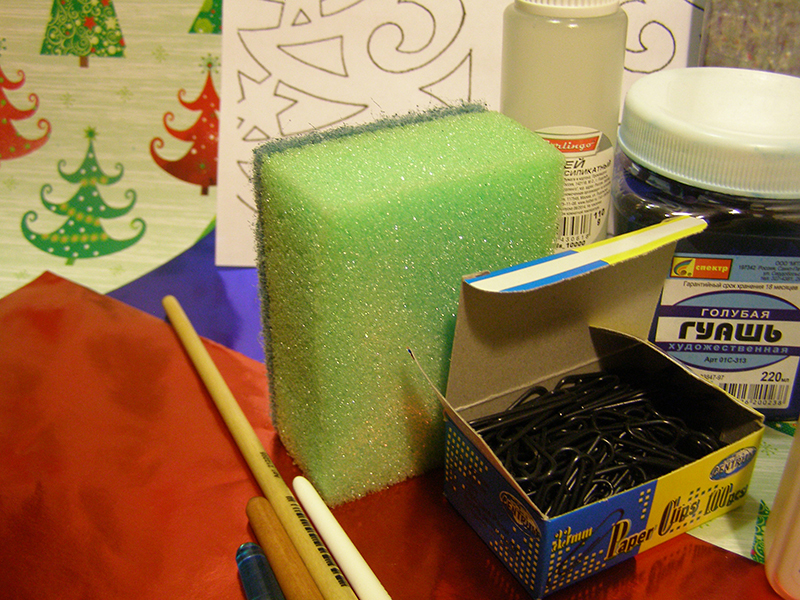 You will need tools: a sharp paper knife, paper clips, 2 brushes, a sponge for utensils, a needle and a thread . Knife choose a stationery with breakable blades or a small building. 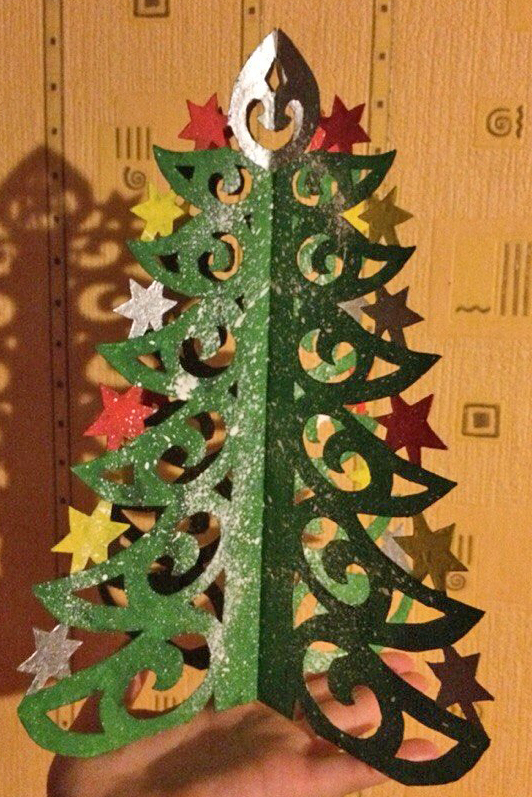 With a large brush or sponge we will paint the Christmas tree, and with a small brush draw the stars and the crown. First, print out the stencil. 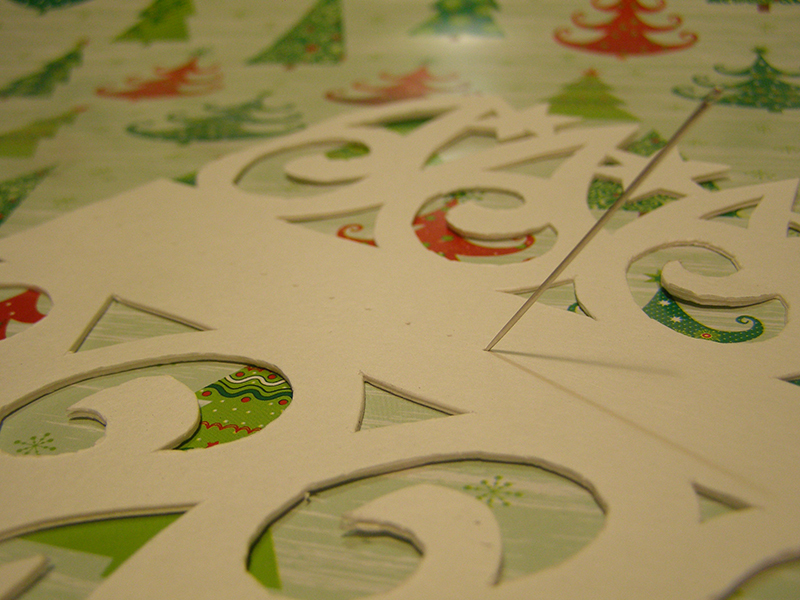 Take 2 sheets of watercolor paper and apply a stencil on them, fix the edges on the edges. 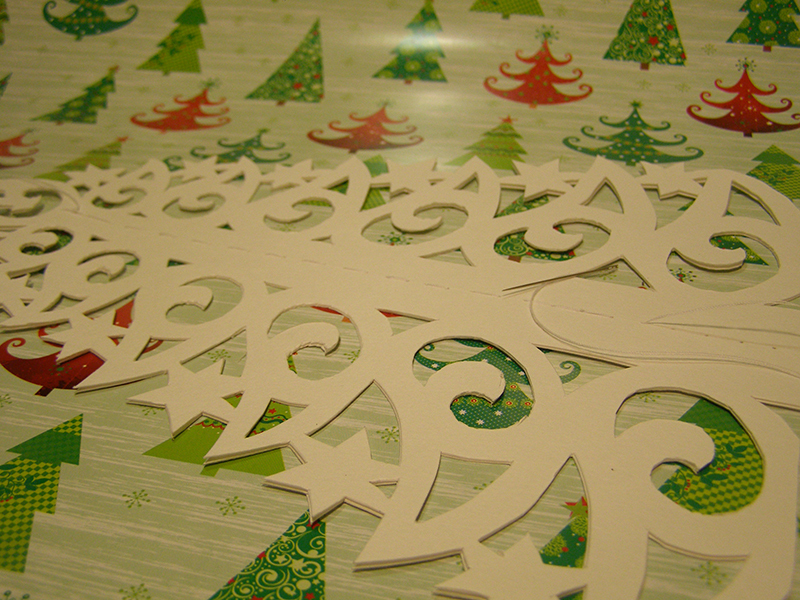 It is important that when cutting, the sheets do not move. 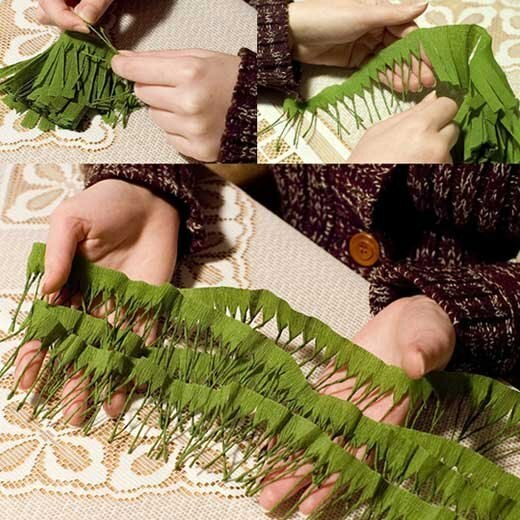 Under the bottom, lay many layers of newspapers on a soft surface easier to cut and you will not spoil the table. 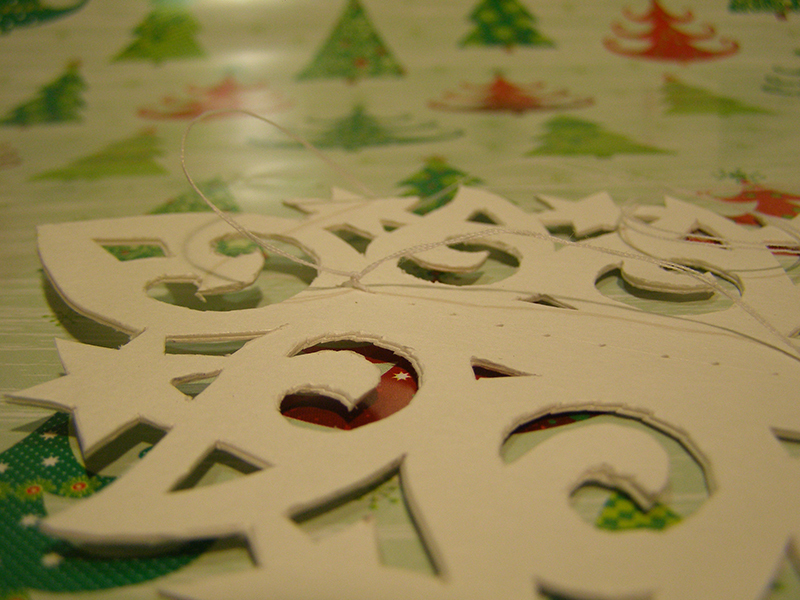 Cutting openwork is the longest and most difficult stage. When it is finished, the most pleasant creative component comes. Now the details have to be sewn. First, you can take a needle thicker, and how to make a puncture through the sewing line at a distance of 0.5 cm from each other. Then, through these punctures, stitch and hide the thread. 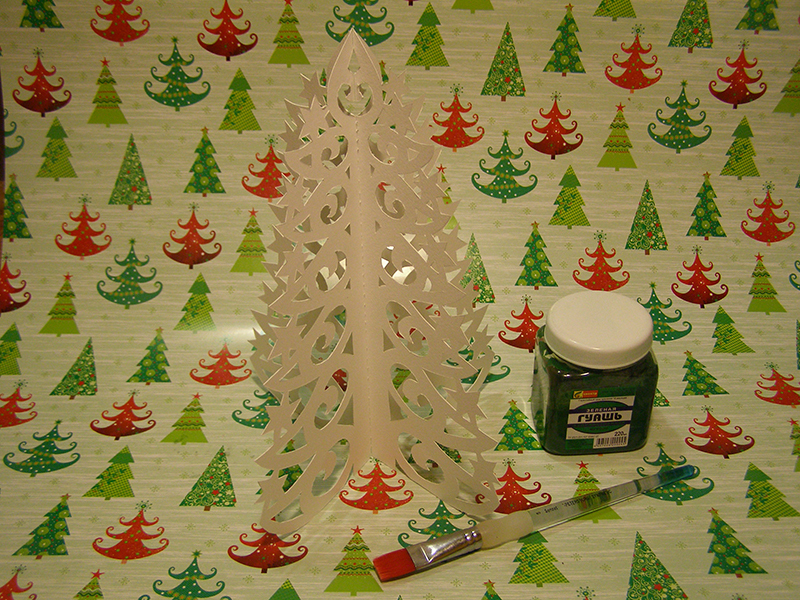 It's time to start painting the Christmas tree with green gouache. Gouache is good in that, like all water-soluble paints, it dries quickly, lays with a dense opaque layer, covering all the previous layers, with it a bright matte surface. 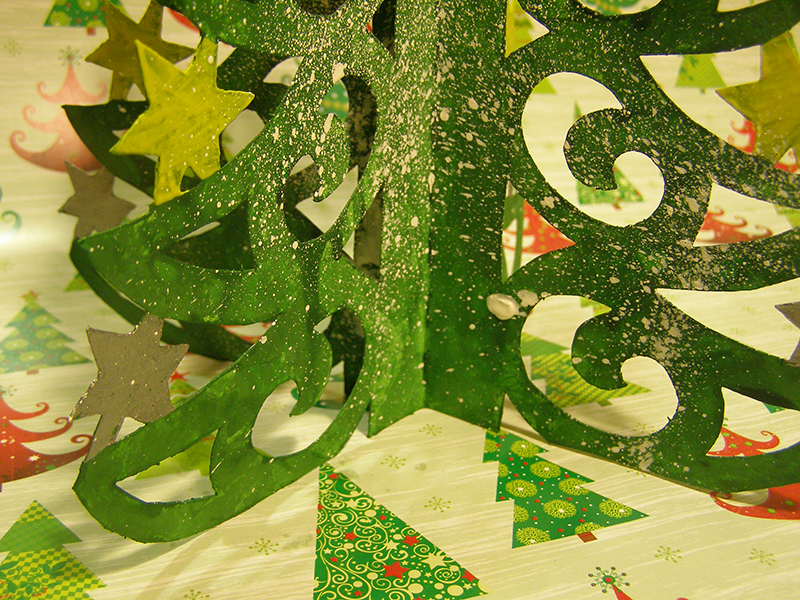 After the green paint dries, and thiswill occur in an hour, you can begin to paint the details of the Christmas tree. Our stencil is very convenient in this respect. The asterisks are well cut out, and it will not be difficult to paint them. 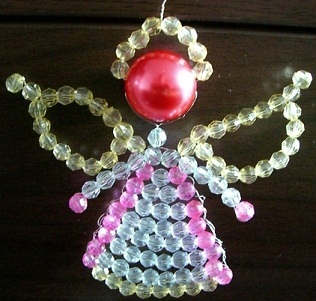 I had silver, yellow and red colors. Instead of silver, a white gouache with a drop of blue or red will work well. Bright white will be snow, so it's best not to use it so that the details do not merge. 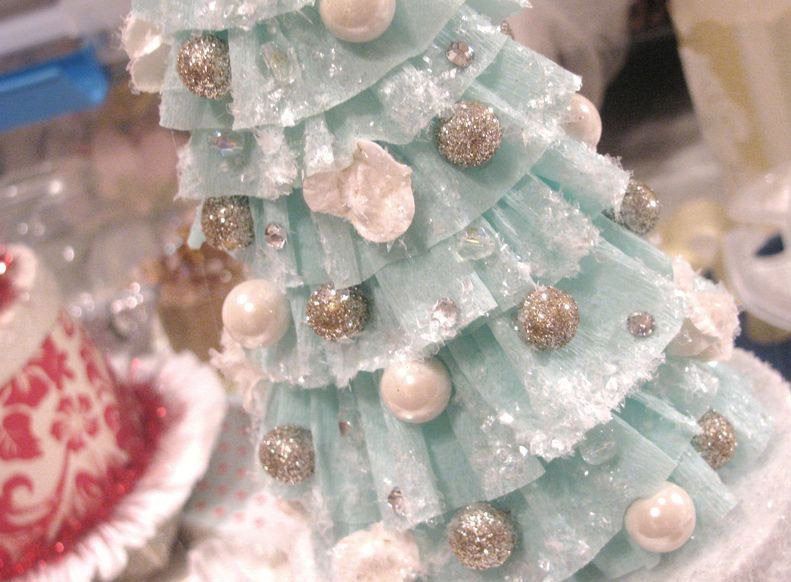 It's time to revive the Christmas tree with snow - drops of white gouache. Spray them with a large hard brush or brush evenly, preferably in the center. 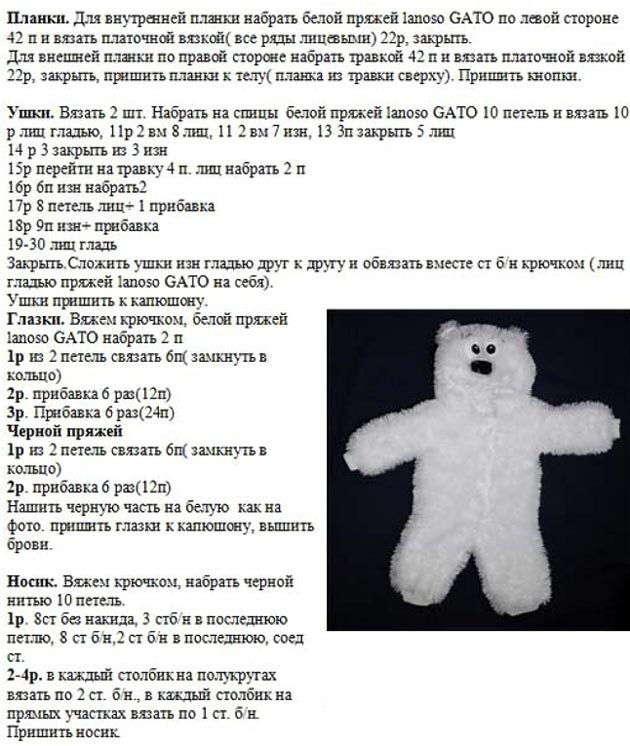 Do not try too hard to do it neatly, snow sweeps as he pleases. 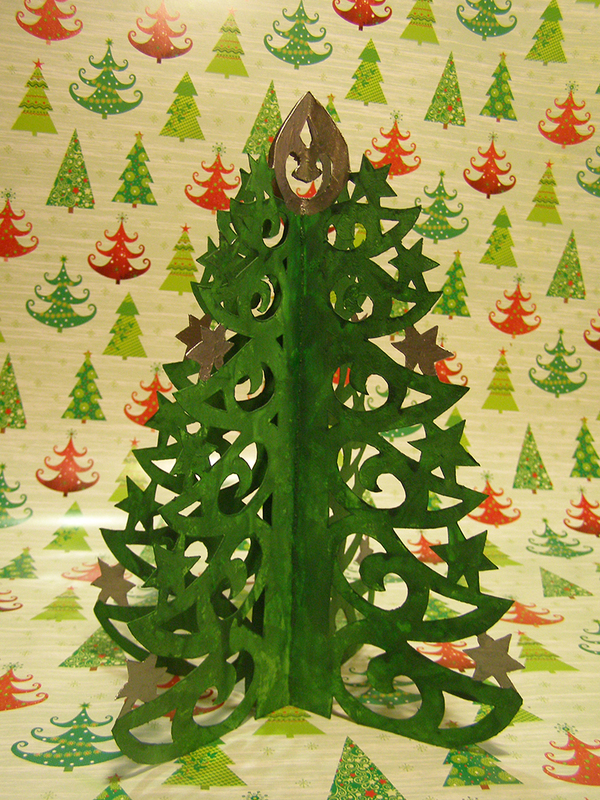 So we learned how to make a Christmas tree out of paper. 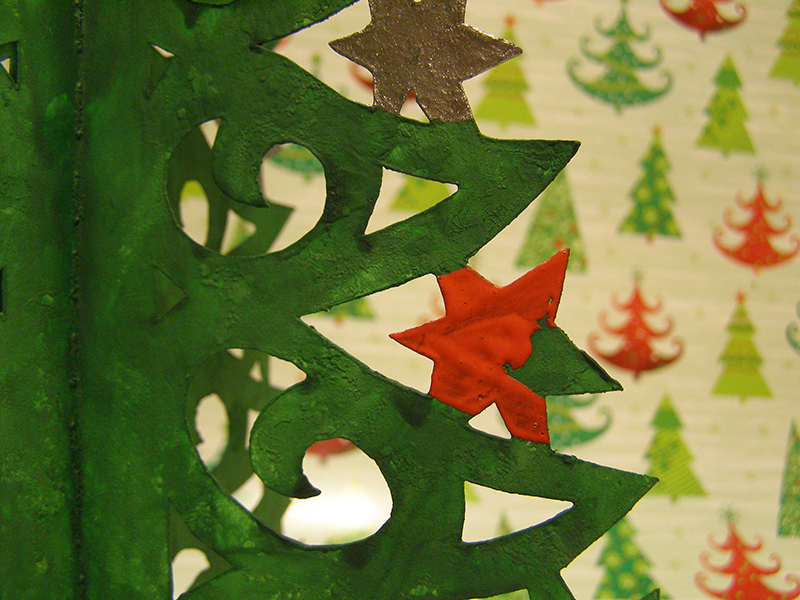 This method is low-cost and fast, which means it is possible to make many Christmas trees with watercolor paper and gouache. 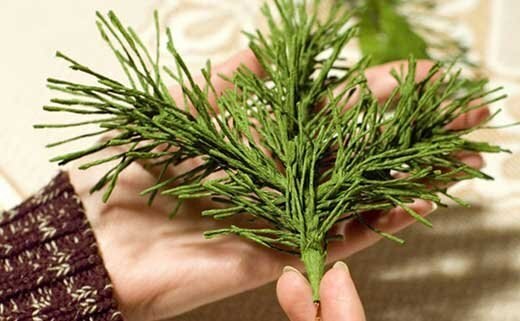 Many of your friends will like this Christmas tree as a gift, because it can be put on the New Year's table, the window sill. 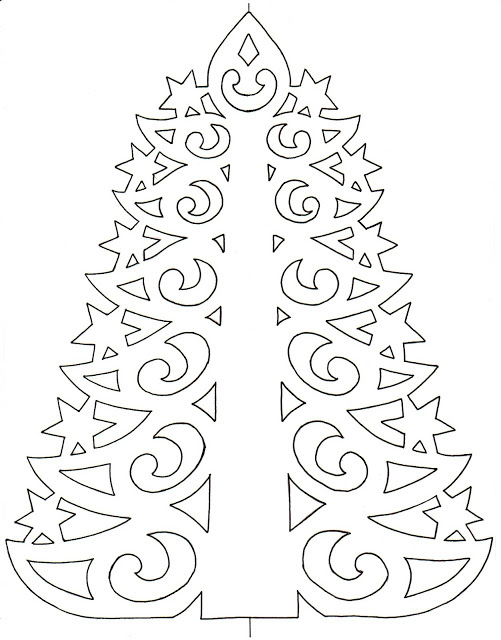 You can make this Christmas tree flat from one detail. Then it's nice to hang it on the wall, the window, the glass door.